I’m halfway inclined to just copy and paste the Table of Contents here and say, “If you want to know about any of this, here’s where you start.” Slap a nice little graphic with some stars on it, and we’re done. But I’m not that lazy. This is a historically-based study of the Synod of Dort’s major product — the Canons of Dort (although it does look at some other concerns), the defense of the Reformed doctrines in answer to the challenges of Jacob Arminius and the Remonstrants that took up and furthered his cause following his death. The Canons gave us the so-called “5 Points of Calvinism” and are often misunderstood because of that and as mischaracterized as those points themselves. If this book only helps people stop doing that, it’d be well worth the effort (it won’t, but it’s pretty to think so) — but it’s so much more. There are four parts to this book — any one of which can be read independently from the others. I’m not sure why you would do that, but they’re self-contained enough that you don’t have to. Part I focuses on the historical and theological context for the calling of the Synod, those who attended and the topics it would address. Godfrey is a Church Historian and former History professor, this is his bread and butter, and you can tell that from these chapters. You also get the impression that he could’ve written a book about the same length as this one just on the historical matters without breaking a sweat. This isn’t the best part of the book, but it gets things off to a great start. Part II is a “Pastoral” translation of the Canons prepared by Godfrey for this book. I’m not familiar enough with other translations to really have much to say about this. I’ve read others, but I don’t have them committed to memory. Besides, I don’t know Latin well enough to evaluate the translation. But I can say that this was a clear translation, it didn’t read like something written in Latin for experts, but something written to help me and other Christians to wade through some weighty topics. As the problems caused by the Remonstrants were in the churches more than in the academy, the language matched that. The heart of the book is in Part III, An Exposition of the Canons of Dort. Godfrey beings with some observations about the Canons as a whole — how they’re structured before he dives in to the Canons themselves. In addition to the errors of the Remonstrants, the Canons address other issues related to the doctrines involved, providing a resource for believers for generations not just an answer to their contemporary problems. The pastoral focus of the Canons — and Godfrey — is evident throughout the Exposition, he’s frequently talking about comfort, encouragement, and assurance. It’s not just an explanation and defense of the Reformation and Protestant teaching, it’s an aid and comfort to believers. It may come as a surprise to see what Godfrey points out as a result of compromise, and the reasoning behind those things that needed no compromise. The behind-the-scenes portions of the book are as interesting as the exposition (giving an indication to those of us who didn’t sit under Godfrey’s Church History lectures that we really missed out on something). Godfrey also points out how the Canons weren’t as successful in some ways as they wanted to be — not as a failure, just that some of their goals were out of reach of the assembly. Some of this section gets repetitive — because each Head of Doctrine is complete in itself, capable of standing alone — so similar points are covered repeatedly. Godfrey’s exposition both points that out and is written to keep the repetition from being dull, but instead an indication of the importance of the various points. This section is so helpful that I really can’t do justice — my copy is full of highlighted lines/paragraphs. I will be returning to it often, I know that. Concise, clear, insightful — everything you want in this kind of study. The remainder of the book is Appendices. There’s an outline of the Canons, an explanation for the pattern of each head of doctrine (very similar to the same idea in the Exposition) and a handy guide to the relation of the positive articles to the rejection of errors. The last appendix is a new translation of the Synod’s provisional position on the Sabbath, giving some insight into the relation of the Synod’s stance to that of British Puritanism. The largest, and probably most helpful (and maybe controversial) is an extended look at Arminius and his overall project. Godfrey takes a position that argues against some recent scholarship (as I understand) and insists that he wasn’t a moderate Reformed churchman, but someone seeking to overturn segments of the church’s teaching and introduce serious Pelagian error. In this anniversary year, I know this will not be the only book about the Synod released (I have another pre-ordered, and am sure I’ll pick up others) — but I can’t imagine that it won’t be one of the better. It is well-researched, careful, encouraging and pastoral — this is not dry and dusty history, nor dry and dusty doctrine. This book, like the Synod it focuses on, seeks to defend, protect and further the cause of the Protestant Reformation, the Gospel itself. As such, it succeeds and you’d do well to study it. Disclaimer: I received this eARC from Reformation Trust Publishing via NetGalley in exchange for this post — thanks to both for this. It’s been awhile since I’ve read a book on baptism — it’s been awhile since I’ve seen a new one published, too (but maybe I stopped paying attention), so when I saw this on NetGalley, I had to take a chance. I’m very glad I did. Richard discusses in his introduction that questions about this sacrament are some of the most frequently asked to Presbyterian (and, I assume, Reformed) pastors. Sadly, they’re usually asked when pastors can’t give the kind of answers they should — at least based on his experience. He begins looking at the meaning of Baptism — both the Greek terms translated as “baptism” and the sacrament. He does so very well, covering all the bases. Following that he moves to the method of baptism — how should the water be applied? Once he’s finished with these matters he moves into the more complicated question — who should be baptised? He begins with the “household” baptisms in the New Testament before turning to the objections and arguments of Baptist and baptistic brothers. He not only examines and explains them fairly well, he responds to them in an irenic manner, but not giving an inch to them. The conclusion, “What Can We Take Away from All This” is just fantastic. Richard’s meditations on how our baptisms should shape our lives and our faith, to build our faith and give us assurance. It’s easily worth half of whatever you pay for the book, and maybe more. This is probably not a book that will convince any detractors. It may not be enough to convince the earnest seeker. But it will explain the basics for each topic considered. It will demonstrate the systematic and biblical basis for Richard’s positions exists and they aren’t mere tradition. These are outlines to be filled in with further reflection, reading and research by the reader. Along those lines, each chapter could really use a “For Further Reading” to help the reader get deeper into the topics covered — or one at the end of the book. But I do think as each chapter is so topic-focused, it’d be very helpful. As good as each chapter is, they are just an overview. Not every reader is going to want to go deeper into, say, the mode/method of baptism but they might want to spend more time on the meaning of Baptism, or his response to Baptist interpretations of Jeremiah 31. For example, I think I agree with his differing from Murray on the former — but I’d like to read more about that, if it’s possible. Richard’s tone throughout is gracious, kind, yet unbending. 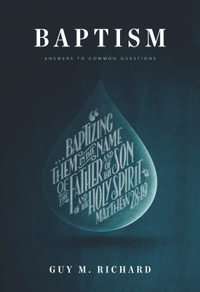 It’s not easy to putt off in print, especially on a topic like Baptism. There were many times he could’ve gone for the jugular, rhetorically speaking. He never did, trusting that the arguments would carry the day. And, in my not so humble opinion, he’s right to trust that. Gracious, encouraging, thorough and easy to read — this introduction to “the waters that divide” Christians is just what you want in a book on this topic. But more than those, it’s deeply biblical in nature. Richard’s focus in bringing the light of the canon to this topic, and he succeeds there. I strongly encourage you to read it. If it’s J. Gresham Machen, it’s gotta be good! Yeah, that might be an oversimplification, but it’s true. This book is made up of part of a series of radio addresses Machen gave in 1935 — this selection, obviously, focusing on the Person of Christ — his Deity (and what it actually means to describe him as such), what He says about Himself, and what He demonstrated about Himself. These are warm chapters that must’ve been easy to listen to (at one point Machen apologizes for technical language in a way that brought a smile to my face), but rich in teaching. I only wish we had the recordings. I don’t know how, but even with these addresses coming from eight decades ago, they feel like the could’ve been delivered last week. My favorite chapter, probably, was on The Sermon on the Mount — it’s a long-standing favorite of liberal theologians, and other non-Christians as a way of talking about the “ethics of the New Testament” apart from anything supernatural, miraculous or theological. Machen directly takes on this idea and shows how it’s baseless and impossible to actually do. These addresses were given towards the end of this life, after he’s gone through “The Presbyterian Conflict” and all the associated drama and trials. Through that experience, he’s a bit more direct. In Christianity & Liberalism Machen’s no less forthright, but he talks about Liberal Theologians, or “other teachers”, etc. Here, he doesn’t waste time — he just calls them “unbelievers.” It’s the same thing, as he demonstrated in his earlier work, but he doesn’t do that here. This is how apologetics should look — easy to understand and follow, yet rich in doctrine and the Bible. Welcoming and winsome while not giving an inch to his opponents. As always, with Machen, this is how we should all be doing it. I’ve been listening to podcasts from Reformed Forum for years now — not as long as I should’ve, no doubt, but for quite awhile — and their guests, discussions and related materials have provided a lot of fodder for my reading lists (both accomplished and planned). So I was excited to hear that they were taking their first steps into book production, not just promotion. 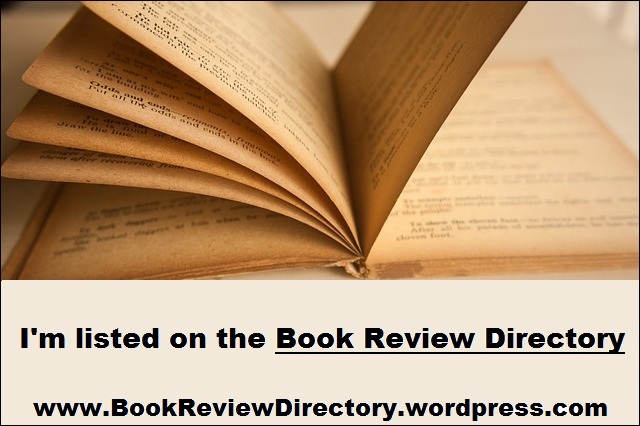 Their first book, No Uncertain Sound: Reformed Doctrine and Life is a collection of essays attempting to “set forth the salient features of [their] Reformed identity” and “facilitate the spread of” the gospel. It’s definitely a winner regarding the former, and in the right hands, will help the latter. Following a brief history of the Reformed Forum, there are six essays from regular contributors to the podcasts, conferences and website sponsored by the Forum. Lane G. Tipton writes about the Redemptive-Historical approach to the Scriptures, focusing on Jesus in the Old Testament’s progressive revelation of the Messiah — this essay also provides some critical interaction with Peter Enns as an added bonus. Camden M. Bucey, writes about the need for theology (professional or personal) to be both Biblical (as in Vosian) and Systematic — an approach I applaud and wish I saw more of. Jeffrey C. Waddington addresses the doctrine of has a great essay on union with Christ and the ordo salutis. Glen J. Clary writes about worship and our need to approach it correctly. James J. Cassidy’s ecclesiastical essay is very helpful and probably not what most people expect from the idea of an essay on ecclesiology. Waddington closes the book with an essay on Reformed apologetics — what’s known as Van Tillian presuppositionalism, or Covenant Apologetics. All the essays are thought-provoking, and will help those new to thinking in these terms as well as those who’ve been down the path a time or two. At the end of each essay is a listing of podcasts/lectures from the Reformed Forum archives so readers can dive deeper into the topics — a great, and very useful tool. For myself, the essays on the Christ in the Old Testament, Union with Christ and Worship were the more profitable in the collection, but I can easily see where other readers will gain more from the others. The suggested reading list is great — I’m not 100% convinced that I agree with the levels they assigned to some of the works (some are easier than they suggest, others more difficult). 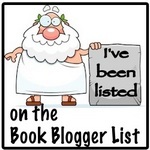 But a great list to have on hand without having to go dig around the website to find it. This is in many ways an advertisement for their podcasts and website — and it’s good at that. But it is more — thankfully. There’s a lot of meat on these bones for people to chew on — whether they’re regular listeners/readers of the Forum’s output or not. 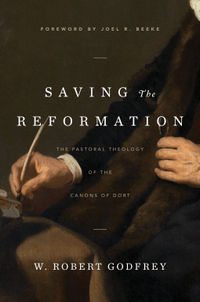 Yes, the material basic, but it’s foundational — both for one’s understanding of what Reformed Forum is about, but for establishing an understanding of Confessional Reformed thought in the Twenty-First Century. This is a good first step into the world of books for Reformed Forum, and I look forward to seeing what they do next.